The crowned beauty of County Donegal: Fanad Lighthouse Inishowen. 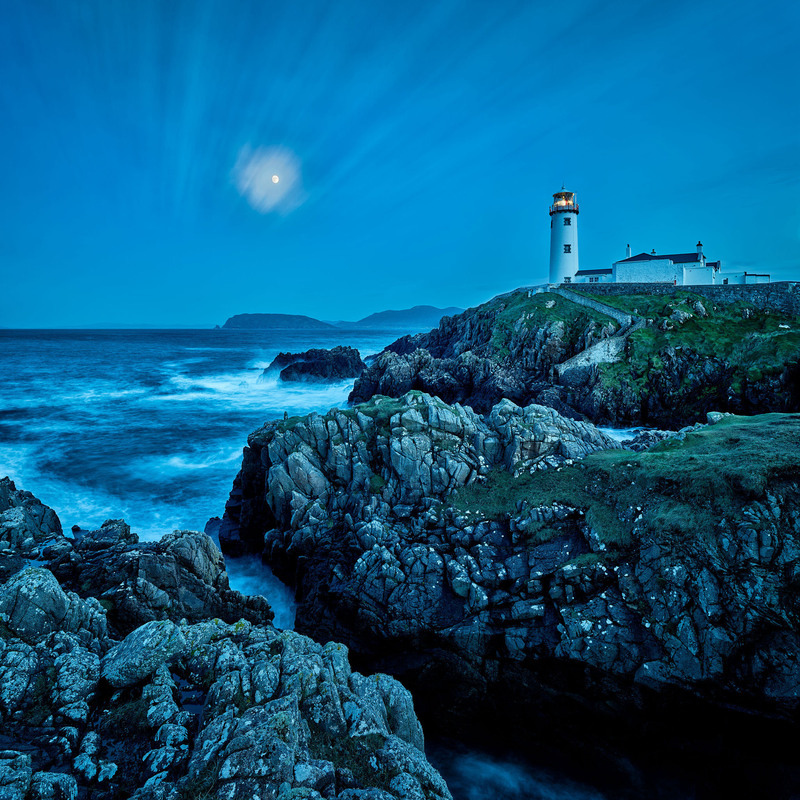 Being generously wrapped in moonlight, Fanad Lighthouse Inishowen made me feel it’s presence in a unique way. Steep rocks and a pathway that is surrounded by greenery lead one to the unflinching lighthouse; it is one of two seascpae photos that I have successfully captured on a magical moonlit night. I took this photograph pretty soon after dusk, the moon was as if beaming with happiness and so, it appeared so very bright. With the hope to witness some movements of the water, I was fortunate enough to capture the existence of light cloud around the moon along with the moving water. I used my Phase One IQ3 100 to bring out every single detail in the image of the photographer’s paradise.